The N.C. Chronicles. : How Carleton Place's women's shelter staff manipulate to get more funding. How Carleton Place's women's shelter staff manipulate to get more funding. The first thing they do is put the request in to local municipalities, in this case the lanark county council, give them a few weeks and wait for their response. Erin Lee-Todd, Executive Director of Lanark County Interval House, "the issue of women and children is no longer worthy of formal budget discussions." "No communication to inform us, a very negative report submitted by and approved by county staff, and a result that indicates that the people with the power are not adequately concerned about marginalized members of our community." (maybe she shouldn't put teen girls on welfare coaching then to say their fathers abused them to bypass the parents wishes? Anyway, to continue, if a shelter does not get it's way, for it's demands for almost $70,000 from the county, simply make statements such as the one above, wait a while, as we know this kind of accusations, that politicians do not care, is dangerous for their careers, they get organized phone calls, emails, asking them why they do not care about victims of abuse. It is ingenious if you think about it. Eventually, said politicians get scared to be called abusers themselves, and break down. To shut them up, they offer half, $35,000, of what this shelter was asking and hope they go away. Council approved a motion to provide $35,000 to Lanark County Interval House as emergency funding for 2013. The staff report, prepared by social services director Nancy Green, concluded: "While it is recognized that the request from Lanark County Interval House is a worthy one, it is not one that can be accommodated in the Social Services or Emergency Services budgets under any of their provincially funded programs for a sustainable period of time." Granting the request from Interval House, Green reported, would negatively impact the level of housing and homelessness support the county will be able to provide. So, someone is reading this blog, also I noticed my counter is going up very fast. 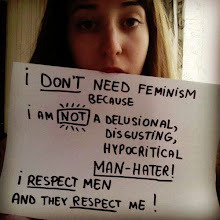 Damn smart if you ask me....Feminazi manipulation. Let me say again, we all support shelter, but not under the policies they have now, to finance women who use it for custody purposes against fathers, falsely cry out abuse without an investigation, simply to get on top of the list for welfare and housing, using teenage girls who do not like house rules as statistics is a waste of funds that is supposed to help those who really need the help. How much money do they waste every years pandering to women who are not in any danger, but use it for their own selfish needs, and why does the shelter industry waste these funds. Goes to wonder why they are there in the first place and it is no longer for the mandate first put forward by Erin Pizzey, to help those in need. Now it all about how much money, and political power, not to mention inflated salaries. If we expose, we help those in need, if we simply accept, we deny those who seek help.